After Daadi’s”Abhi’s grandmother” death, the story takes a 7 years leap. We are shown Abhi and Pragya living their lives apart and different. 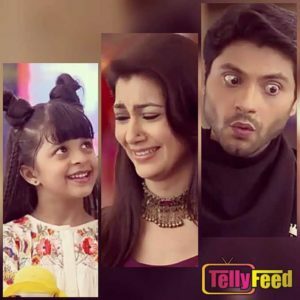 Pragya and her daughter, Kiara lives with a man called King Singh while Abhi’s hatred for Pragya makes him accept Tanu as his wife and lives with her. Abhi meets Kiara at the airport and spends cute moments with her. He then sees her with King Singh and assumes it’s his daughter. But, the truth comes out after Kiara’s accident. Kiara gets into an accident and needs a blood donor. This makes Abhi realize he shares the same blood group with her and it is revealed to him that Kiara is he and Pragya’s daughter. However, here comes a love triangle as King Singh falls in love with Pragya and enters into a competition with Abhi. Stay tuned on this website for more information!